While Federal Government Remains Dark, New York State Takes Action to Assist Vulnerable Homeowners. 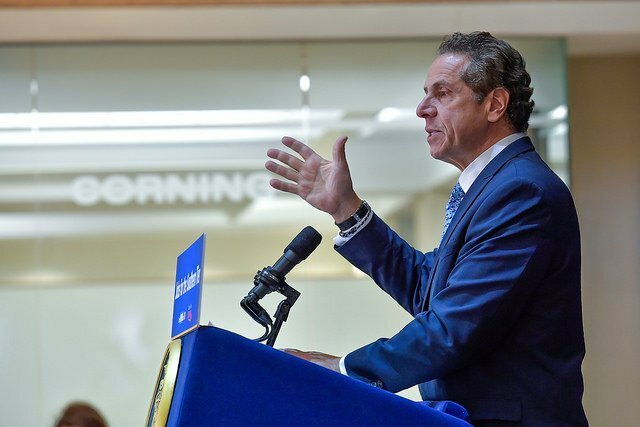 New York, NY - December 31, 2018 - Governor Andrew M. Cuomo today announced a six-month extension for the Interim Mortgage Assistance Program's most vulnerable participants, made possible by an additional $3.9 million in state funding. More than 200 eligible applicants - including seniors, people with disabilities, victims of contractor fraud, those required to elevate their homes and individuals with low to moderate incomes -are expected to benefit from this additional, final extension as they continue to complete recovery and resiliency projects after Superstorm Sandy's landfall six years ago. Managed by the Governor's Office of Storm Recovery, the IMA program has disbursed $54.2 million to support approximately 1,900 storm-impacted New Yorkers who have incurred both mortgage and rental expenses. "While the federal government fails to help those in need, New York is once again stepping up for communities affected by extreme weather," Governor Cuomo said. "With this additional six-month extension, we will continue to help vulnerable New Yorkers build back stronger and more resilient than before." This six-month extension realigns the IMA program deadline with the June 2019 deadlines for the NY Rising Single Family Homeowner Program. Only current applicants who are particularly vulnerable and who have not yet received their full 20-month IMA benefit will be eligible for this extension. No new IMA applications will be accepted. Vulnerable IMA recipients will be eligible for up to their full 20 months of IMA with no reimbursements beyond June 2019. Victims of contractor fraud will be eligible for up to their full 20 months of IMA and may be permitted to collect beyond the June 2019 deadline. GOSR will publish this available extension on its website and will contact vulnerable qualifying IMA recipients on a case by case basis. If an applicant believes they may be eligible, they should reach out to their case manager or the call center at 844-9NY-RISING (844-969-7474). Executive Director of Housing, Buyout and Acquisition Programs at the Governor's Office of Storm Recovery Thehbia Hiwot said, "When the federal government initially limited the amount of mortgage assistance we could provide, the State went to bat for disaster survivors to secure an extension. In the process, we developed a pioneering program that has disbursed tens of millions of dollars to ensure storm-affected New Yorkers can pay their mortgage." Senator Todd Kaminsky said, "It has been six years since superstorm Sandy yet there are still storm victims not in their homes, through no fault of their own. This extension will provide the necessary time and resources to rebuild. Since the federal government is no longer funding this program, and this all state money, special thanks to Governor Cuomo for understanding the plight of too many of our neighbors and funding this program." Additional state resources will assist eligible NY Rising Housing Recovery Program participants paying their mortgage until June 2019, when homeowners are required to schedule a final inspection. Following two previous extensions of deadlines for construction progress, no additional time will be made available, and applicants are required to close out of the program by December 31, 2019. Like the State's entire portfolio of NY Rising programs, which have played a central role in the recovery from storms Sandy, Lee and Irene, IMA was originally funded by GOSR's $4.5 billion allocation from the U.S. Department of Housing and Urban Development. In 2013, HUD allowed GOSR and other Sandy grantees to provide up to 20 months of assistance with a maximum benefit of $60,000. However, listening to the concerns of its residents, New York State continued to push the envelope. In 2015, GOSR submitted a waiver to provide IMA benefits beyond 20 months and, in January 2016, received permission to extend payments for another 16 months with a maximum benefit of $108,000. GOSR was the first grantee to receive an extension of this length and to provide 36 months of mortgage assistance. Although HUD required the 16-month extension to end in December 2017, GOSR continued to provide up to 20 months of IMA through 2018. The more than $54 million disbursed through IMA comes on top of the $1 billion placed directly into the hands of Long Island homeowners through the NY Rising Housing Recovery Program, which funds repairs, reconstruction and elevations. Established in June 2013, the Governor's Office of Storm Recovery coordinates Statewide recovery efforts for Superstorm Sandy, Hurricane Irene and Tropical Storm Lee. Through its NY Rising Housing Recovery, Small Business, Community Reconstruction, Infrastructure and Rebuild By Design programs — GOSR invests $4.5 billion in federal Community Development Block Grant - Disaster Recovery funding to better prepare New York for extreme weather events. More information about GOSR and its programs is available online at: http://stormrecovery.ny.gov. Subject: LongIsland.com - Your Name sent you Article details of "Governor Cuomo Announces Six-Month Extension of Interim Mortgage Assistance Program for Vulnerable NYers Displaced by Extreme Storms"